Minisa Crumbo, Dawnwoman, shares her Breath of Spirit in her book “Spirit Talk: a count of days“ that was the encouragement to write a journal. Our paths crossed for Sacred Ceremony in 2002. She’s a Strong Medicine of the Wind and Creative Breath. She blew me right into a Sun/Moon Dance, and pushed me off go toward the Dream of Ek’ Balam. Minisa is an Artist of Life and Expression that connects Us to the Medicine Circle in Oklahoma. By sharing time together on this path, this becomes a part of your own Spiritual Lineage. The Tzolk’in’s synchronicity often connects people who were far apart but floating down the same river all along. Minisa always encourages to “Breathe and Be Breathed,” claim the “Sacred Right of Choice,” and to “BE Alive in a Living World!” Minisa’s words disseminate the Breath of Life and Spirit. The Peak Tone 6 brings us the Momentum of Movement that draws us into the Rhythm and Flow of Divine Spirit. The energy of Tone 6 facilitates dynamic developments. We’ve invested a Human effort in an Intention of Faith. We can See that by our own Divine Intentions the Creators’ Promise of Intervention is ours to Claim. We’re given the Second Wind of Seeing our own Dreams within our Grasp. With Higher Faith, we can See and Acknowledge the Beauty of our own Dance of Standing Still right where we are in the Truth that the Creator has revealed through our effort of Consciousness. Deer/MANIK is the Day Sign of the Mayan Priest, the one who offers all the Spiritual Tools of Consciousness and shows us how to use them through a personal demonstration. It’s the Destiny of Deer/MANIK to built the Sacred Fires, to be Vigilant to Observe the Offerings made at each of the 20 altars that Honor all the Perspectives and Ways of a Divine Creator, the All-In-One Above. Deer has the power to push negativity away by standing in the Center of the Sacred Circle of the world we are creating, anchoring our Truth, Integrity, Unconditional Love, Forgiveness, Gratitude, and the Wisdom of All our Spiritual Gifts. MANIK stands to uphold the Pillars of the world of Beauty that is held within our Heart and Mind to Create for the purpose of Sharing it with Each Other. 6 Deer/MANIK calls us into the Divine Service we were Created for. Gathering all the Gifts of Spirit that we have been Blessed to Know through our own Experience, we are Given the Vision of a Purpose that transforms the Meaning of our Lives into an Expression of Service to Humanity, Loving the All-in-One Below. Today the Intention and Way of the Deer, elevated in our Consciousness, is magnified through a Divine Alignment. 6 Deer/MANIK is the Year Bearer for this Haab year, the 365 “vague year” calendar that reflects Planetary Cycles of Evolution and Transformation. 6 Deer/MANIK reflects a Planetary Calling to a Mission of Divine Service. It marks the Divine Intention of the Year for the Whole of Humanity, and the Meaning and Purpose of the Whole of our Inspiration and our own Personal Experiences. The Whole of our experience was leading us to the Intention of this Day, and the way that would be shown to us through the nuhaul of the totem Deer. Today’s Gift of Spirit was given to be Seen and Acknowledged by the All-In-One Below, to make Self-Evident the All-In-One Above. Deer/MANIK’s Most Important Spiritual Tool is its Power of Vigilant Observation. MANIK’s Movements are made on Purpose, guided by Intention and the Wisdom of Consciousness. MANIK calls us to draw upon all our Spiritual Gifts and to put them to use in the Intention of Divine Service, so we can Know the Way to uphold the Pillars of the World we are Creating from our Imagination, an experience of the world that was Divinely Inspired by a Creator of Unconditional Love. MANIK resides in the West, the direction of our Unknown Experiences and the Creative Void from which we hold the power to Draw our own Creation into Being. Through the Element of Water, the element that holds the Ether of our Spirit, the Sounds of our own Spirit are magnified. In the West our emotional response to Living is Magnified. MANIK will raise our emotions to the surface so that we can learn to push our own negativity away. We can see the illusion of our Fear for the Gift it is when we are Conscious enough to see the Truth that it is just an illusion. MANIK Offers Us the Divine Promise that for every Human limitation, we are given the Spiritual Tool designed to overcome it. MANIK can help us see the Meaning and Purpose for all the Gifts we are Given, and the Truth that the Creator’s Divine Consciousness Knew in Advance everything we would need to carry out our own Highest Experience of Living. We were Given the Tools that were necessary to manifest our own Divine Destiny. As the totem Deer, MANIK guides the Whole by standing silently in its own Truth. MANIK never forces another to go along, but directs a path for those who are drawn to follow. MANIK stands in Vigilant Consciousness of the Darkness and the Light. Those guided by the Deer see the Power of MANIK’s Vigilance Know the Way. Deer holds the Gift of Harmonic Resonance, the Power of Attraction. The glyph illustrates a Hand, another name for MANIK, that reaches to grasp the Ether of Spirit that completes the circuit to the Power of the Creator’s Divine Love. Grasping for the Spirit that brings Unity with the Creator, we are made capable to be the Hand of the Creator, the Guiding Hand that can lead the Whole in a Direction of Love. MANIK stands on Truth without the need for any defense. Its Truth stands in the Integrity of a Divine Intention. There’s no need to defend or encourage anyone to think the way we do, when the Whole sees the Joy of our Experience. On completion of our most Sacred Ceremonies, the Elders raised to our awareness the New Light that would shine through us. They told us of the Light that would shine through our eyes as we become a Portal of the Creator’s Love. As others would seek to draw from the Light of our Eyes, the Elders guided us to keep our eyes averted from direct eye-to-eye contact for a time – to keep them trained on the Above. When the Stag responds to Movement that it sees in the 4 directions, the collective looks to see what the Stag sees, not the Stag itself. Holding such a position of Power as a Divine Agent, we are Authorized to Move on Behalf of the Creator. Keeping our eyes trained on the above, we are protected from the influence of our own Ego that could be influenced to claim the Divinity as our Own Effort. As we become a Demonstration that others turn to, its not Us we want them to see, but the Movement of Spirit that our eyes are Vigilant to See. Grasping this Current of Ether and Spirit, others are Magnified to the Deer’s Heart of Love. We have to be vigilant for we will attract both the Darkness and the Light. We will draw the energy of negative spirits, the ones whose eyes are trained on US. They will see an Energy and Power that they hope to draw to themselves, drawing from us what they don’t Understand must be drawn directly from a Divine Source to stand in its integrity. We push away negativity through our Vigilant focus on the above. You might notice a shift around you after such a High Experience of Divine Connection. I remember returning from my first Sun/Moon dance, I never felt more popular as people unknowingly seemed to gather around me. Since my return from Cancun, people seem suddenly friendlier at the grocery store, taking notice of my presence in a different way. Give some thought to your own experience of this. If it has been raised into your consciousness, you can see how easy it could be to be drawn under the influence of our own Ego – claiming it’s us, when it’s really the Light of the Creator that has broken through. MANIK reminds us that to “hold our power” requires our Vigilant Consciousness and Devotion to a Power Above. That’s the only way to keep our Divine Light Shining. The moment we claim the Gratitude and Appreciation that is due to a Divine Creator, the very Pillars of our New World begin to crumble. When we channel the in-pouring of Love to our Self, we close the channel that connects the Above and the Below and draw Light to a finite body of matter that has no place to go. Holding on to our Consciousness of the Creator, we maintain the “hollow bone” that connects the Whole to an Infinite Resource of Unconditional Love. Through Vigilant Consciousness we deflect negativity that would draw from our own stored resources of Divine Power. Ours is a Light meant to shine a way on the path to the One Divine Source of Light. We are not the endpoint of the Light. Today we are guided to Manifest the Meaning and Purpose of a Planetary Intention for the Whole to Serve as Divine Agents for each other. As Ian Lungold’s last message encouraged us to do, this is Our Time to walk in the Integrity of our Intention and Purpose and to Carry On the work of the Ascended Lightworkers who came before. Theirs was the Light of Deer/MANIK that guided us to see a Higher Light beyond themselves. In their Highest State of Consciousness, they are One in our Mission from the “otherside.” They offer the Thread of Ether that we can see was manifested Below for us to reach and grasp for Humanity. Today our Vision and Purpose is United with all the Humans that came before us, and who made the Choice to Know the Creator’s Love with the Intention to Share it through a Mission of Divine Service. Like MANIK watches over the Community, so are we watched over by a Divine Authority. Standing on that Truth, alone, can set us free. Our Greatest Heroes are those people Human recognize as accomplishing something that was beyond Human power. We are inspired by Miracles that accomplished what was impossible for Human to do. The One Thing Human Knows the Best is the Truth of our own Failure to live up to our own Best Intentions. This is what we can all relate to and will all See and Acknowledge as a Miracle when Human carries out a Divine Mission of Love. We must never shine a Light on our own Way, but point to the Source that allows ALL to choose the Way of their own Divine Dance in Spirit. We can receive the Healing to our Heart when we Know that we weren’t meant to be like anyone else, that our Spark was given its own Divine Meaning and Purpose to shine in its own way. Each One holds a Gift Like no other so that together we can reflect the All-In-One, and the Full Spectrum of Light that is the Creator’s. Each one of us is Perfected by the ways we have been broken. Each Life is writing its own Story of Darkness transformed by Light. In the Creator’s Highest Intention of Harmony and Unity of the Whole, no one story was meant to shine a greater Light than another. May we anchor our Vigilant Consciousness on the story our lives could tell through our own experiences of Darkness transformed by our own Divine Way of Being. We hold the Power to Choose it and Believe in our own unfolding Miracles of Love and Creations we were Empowered to Manifest with each Leap of Faith that led to our Believing in the Beauty we Imagined in our Future. To all my relations, may we accept the Mission of Divine Service that is Offered to the Whole by Deer/MANIK. May we extend the Ether of Spirit for others to grasp. May we observe the Sacred Ceremonies, Light the Candles, Burn the Fires, and Say the Prayers of Blessing in Service for the Whole. May we push away negativity by claiming a Power Higher than our Own, so we can always stand in the Integrity of our Intention. May we see the Divine Beauty in a Dance of Love and Rhythm of Movement that draws the Light to shine through each of us an All-in-One. May we Honor the Day marked as a Milestone of Transformation on a planetary scale. May we look upon our experience of a living world to clearly see the proof of Miracles. Visit the 13-Day Trecena Guide for daily aspects and events of the Wind/IK trecena. NOW UPDATED FOR WIND/IK. 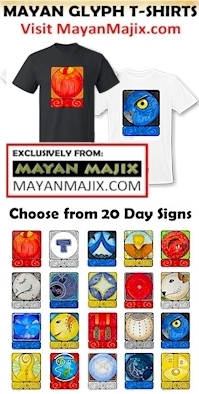 The 260 days are related to the gestation cycle of Corn, as the Maya saw Corn as the symbol of The People. It also relates to the two cycles of Venus. 12 is the “fruit bearing” energy of the harvest cycle. We are in a Higher State of Being today than we were yesterday, while we are in a Lower State of Being than who we will be tomorrow. MANIK can harmonize our Higher and Lower self through a Meaning and Purpose that brings Unity within, as our Human Self makes the Choice to Grasp the Power, and our Divine Spirit is Open to Receive it. I am reposting my comment below. I am not sure that it was posted last night, I made several attempts that resulted in a ’not able to post’ message. I am truly thankful for your posts. Especially today, Deer/MANIK is my Sun Sign. Thank you for providing me the light that continues to show me how to stay the course and return to my connections and consciousness of the Creator, ancestors and the spirits who have guided me in the past and have presented me with a “New Way to Be Alive ….. that’s worth Supporting with Faith in ‘my own’ Dreams.” You keep us conscious and aware of the part of who we humans are. You keep us focused on our spirit, the aspect of our being that we most often forget and take for granted, that awakens us every morning. Our spirits are indeed the sacred and holiest part of our trinity of being, connected to the Great Dark Mysterious Mother, Father Sky, Grandfather Sun, Grandmother Moon and the Cosmos. We are of this universe and immersed in its being, what we do to the universe we do to ourselves. Sorry to get so wordy, but again thanks for your guidance. It is greatly needed and appreciated. I am grateful that you and the ancestors share your knowledge and your words. Thank you for being and sharing.